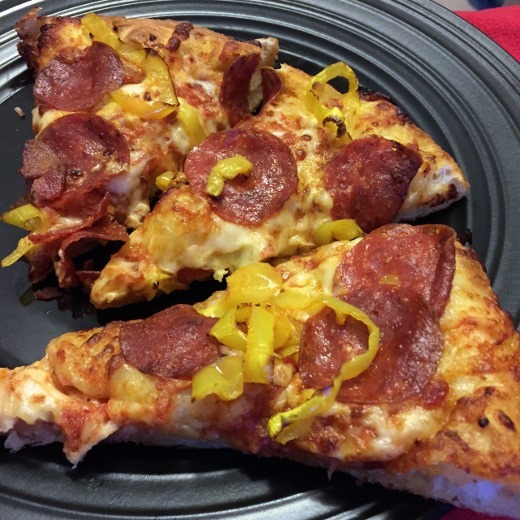 Welcome to my first What I’ve Been Nomming Lately post of 2015! I’ve been a little disorganized in my meal planning game over the last month or so, I’ll admit. 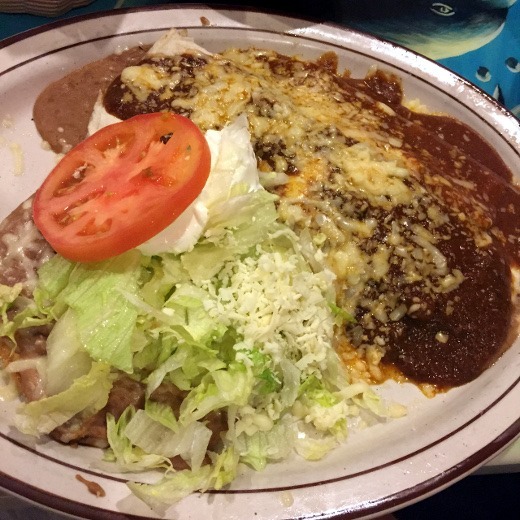 I’ve been dining out a lot – probably more than I should be. Typically I bring you a bi-weekly recap like this with a day-by-day run down of my dinner plans, but this time, I just have lots of pictures to unload because I didn’t do so well in keeping track of what I ate each day, and some times I forgot to take pictures or didn’t find the meal photo-worthy. 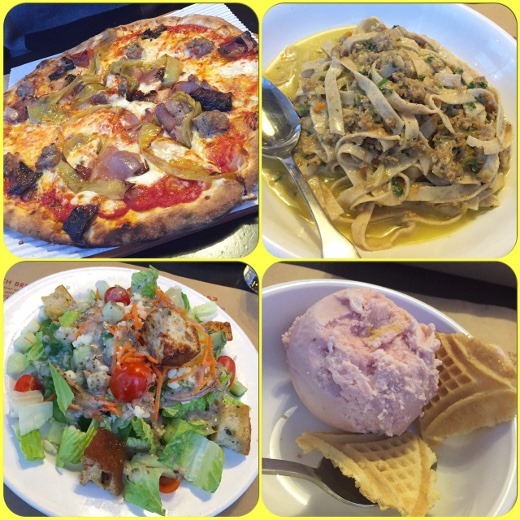 But here’s a snapshot of several of my dinners over the past few weeks to bring you back up to speed on what I’ve been nomming lately! Blimpy Burger! Quad with American Cheese and Mixed Fried Veggies. 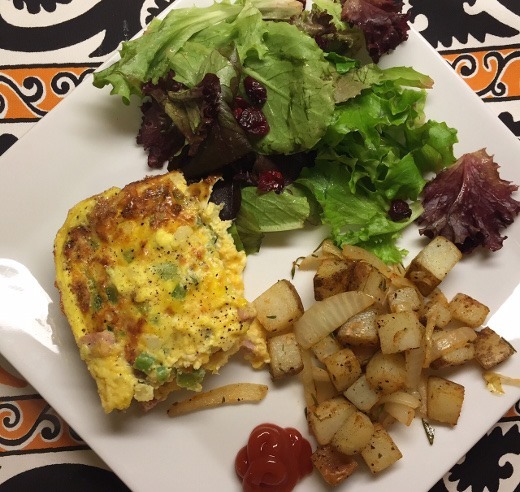 Oven Denver Omelet, Fried Potatoes, Greens. Yup, a meal I cooked! 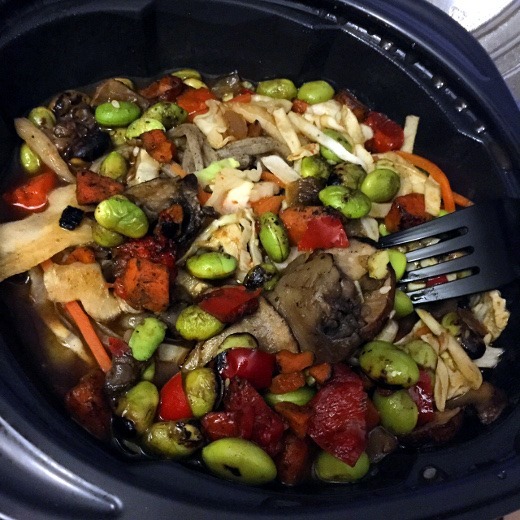 Soba Noodle Bowl with Edamame with Panera. This was pretty tasty, I’d get it again. 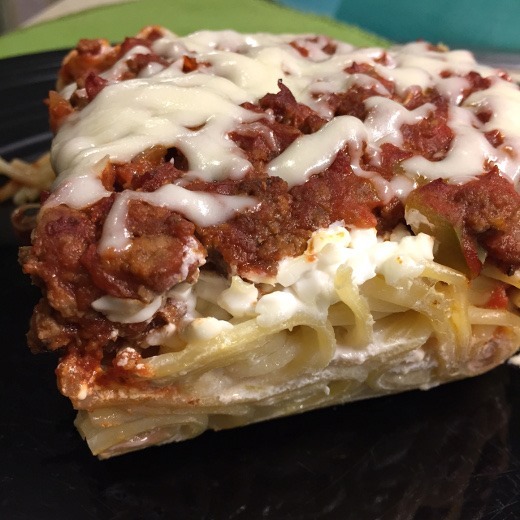 Spaghetti Pie. 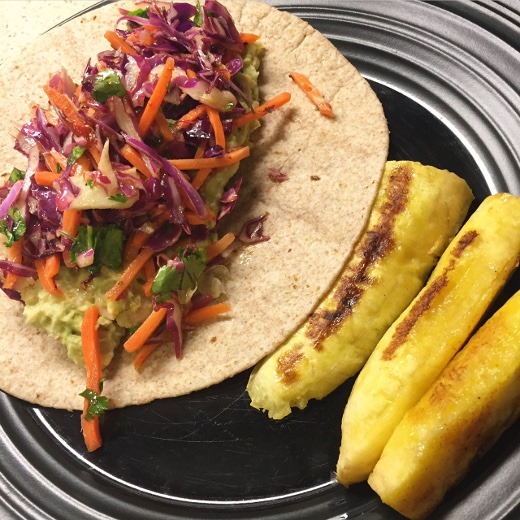 I forgot how delicious this recipe is! 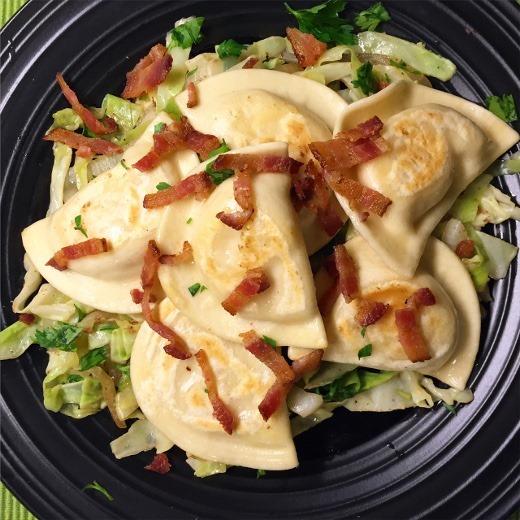 Pierogies with Sautéed Cabbage and Bacon. Another fave dinner in our house. 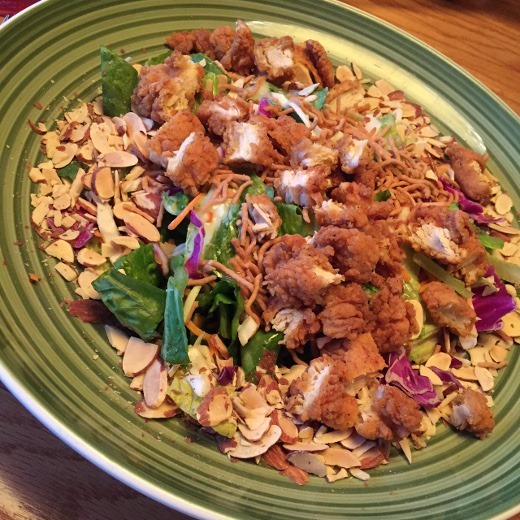 Oriental Chicken Salad from Applebee’s – gift card redemption! 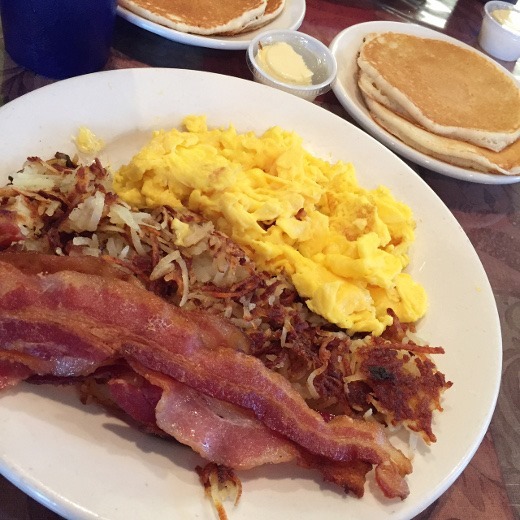 Breakfast at Saline Downtown Diner. Those crispy hash browns though! 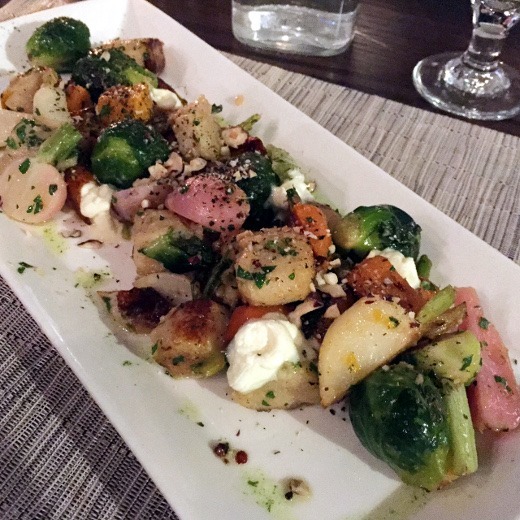 Work travel – dinner at my hotel in Baltimore, mid-week: Roasted Veggie Gnocchi with Crème Fraiche. 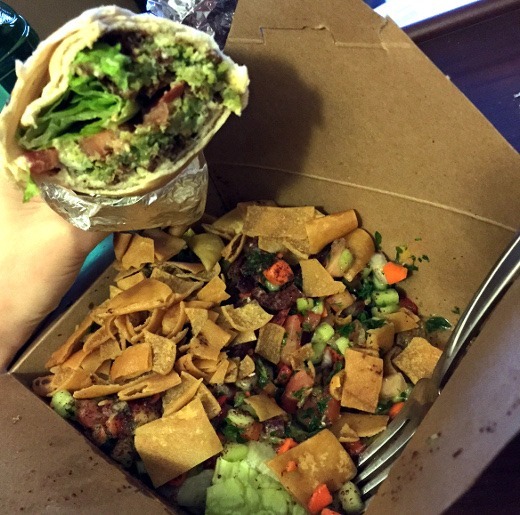 Back in Ann Arbor for the last day of Ann Arbor Restaurant Week: Jerk Chicken Wrap at Jamaican Jerk Pit. On point! As always, love this post! 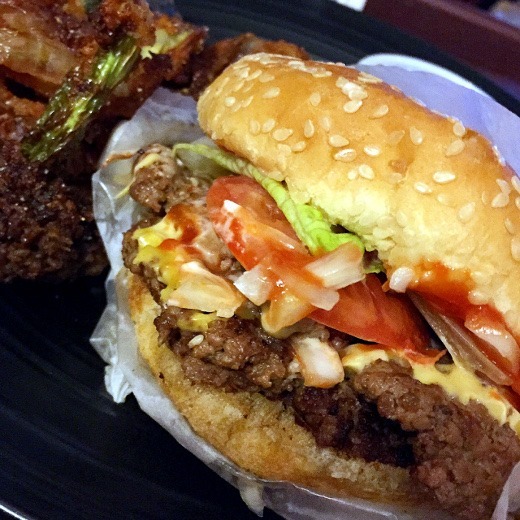 I am drooling over Jeru Garden and Blimpy burger. Do you make your pierogies from scratch or frozen? Thank you! 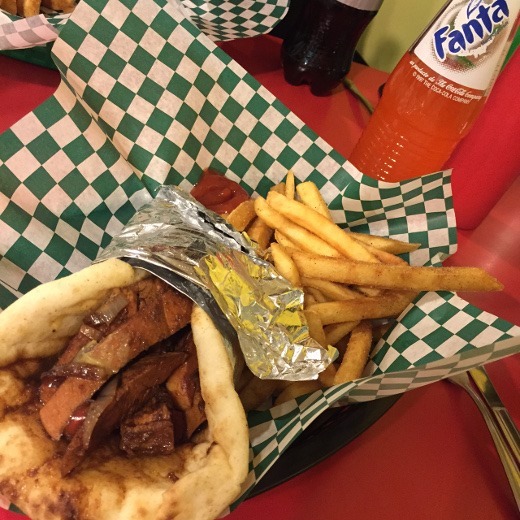 JG and BB are some of A2’s best eats for sure!! I wish I could say I make my own pierogies but these are store-bought Mrs. T’s. I would love to try making them homemade. Have you ever made them from scratch before? All the food looks so amazing!